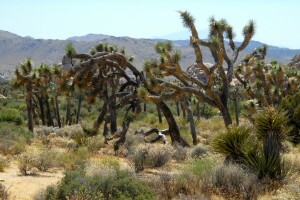 There are a lot of national parks out west. But the boys can only see so much majestic scenery before they become underwhelmed by it and ask to stay in the car. And Pretty is a big city freak, wanting busy sidewalks and traffic and coffee shops. And The Other Half wanted to visit small towns where people wear cowboy hats and drive old trucks. Basically, I had to cover everything that everybody wanted on this trip. Including me. 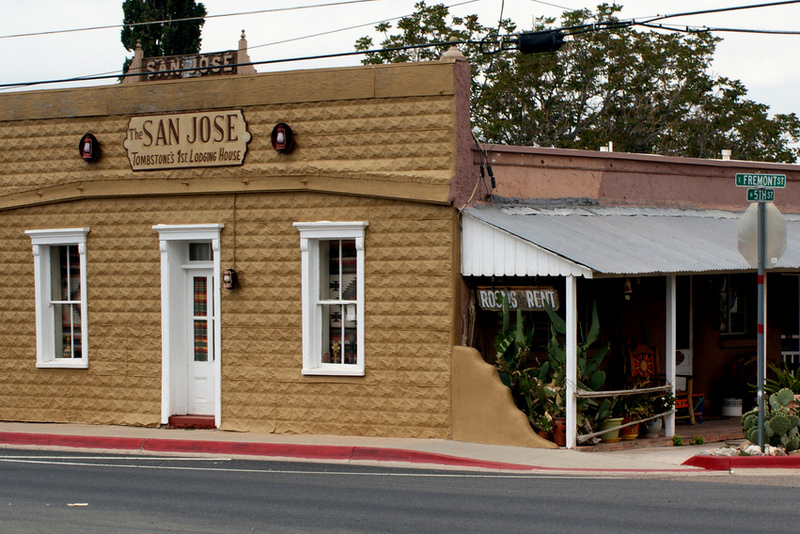 So we rolled up on our stay for the night, the historic San Jose House, in Tombstone, Arizona with a couple frozen Tombstone pizzas in the back of the car. Because what I wanted was to eat a Tombstone in Tombstone. Except the San Jose house, Tombstone’s first boarding house built in 1879, did not have an oven in it. Or even a stove top. Or microwave. Historic housing is not my favorite housing. The house manager did offer to track down a toaster oven so we could cut the frozen pizzas up and maybe toast them a piece at a time. But that was just too depressing to face. Luckily, she also recommended a pizza place down the street. 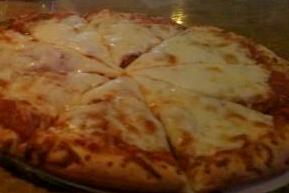 Which is how we ended up at Johnny Ringo’s Bar for pizza. Or rather the Depot Steakhouse. Because we couldn’t stay in the bar with the kids but the Depot was part of the same building and shared a dining area and was willing to let us order Johnny Ringo’s pizza. Or Mexican food. Because apparently the entire building was for alcohol, pizza, steaks, or Mexican food. All in one restaurant. Small towns are convenient like that. Even better, Johnny Ringo’s had amazing fresh-made pizza with the unique twist of stuffing the toppings under the cheese. Yum! So technically I did have a Tombstone pizza in Tombstone because it was pizza made in Tombstone and eaten in Tombstone and I’m gonna check that off my list. Check. Plus, since historic houses don’t have coffee pots either, Pretty and I got to go out for our caffeine the next morning. We stopped in at the OK Cafe for coffee and breakfast, nibbling our eggs and biscuits among the locals dressed in 1880’s attire in preparation for working the tourist shows in town. Which was cool–kinda like a backstage seat to a performance. 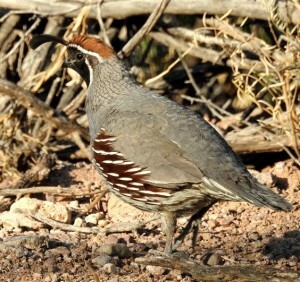 Quail families scurried across the road and through the mesquite, long lines of chicks corralled by both the male and female sporting those adorable head curls. The rest of Tombstone was loaded with touristy and tacky souvenir shops. And since I had finished “The Last Gunfight: The Real Story of the Shootout at the O.K. Corral and How It Changed the American West” by Jeff Guinn I wasn’t as awed by the heroic representations of the Earps. Seems like a lot of the drama actually revolved around the politicians and business owners of Tombstone battling over property rights and profits with the miners and cattle ranchers living outside of the town. Most citizens and patrons of Tombstone were just little people caught up in the fight over Big Money. Same ol’ story, just different times. Still, some of the historic sites were well-preserved. The Birdcage Theatre was worth visiting, with intact murals from the 1800’s, the original staircase to the back rooms for “socializing,” and plenty of bullet holes left in the plaster walls. And Boothill Graveyard was worth a stroll. A bunch of the graves are fictitious, with entertaining epitaphs, but there are notables buried there including Billy Clanton and the McLaurys killed in the O.K. Corral shootout. 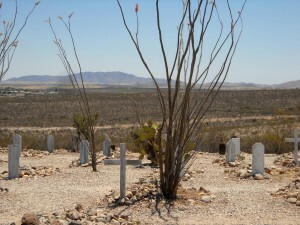 Even better, the hillside graveyard gives a person a real feel for the territory of Tombstone. 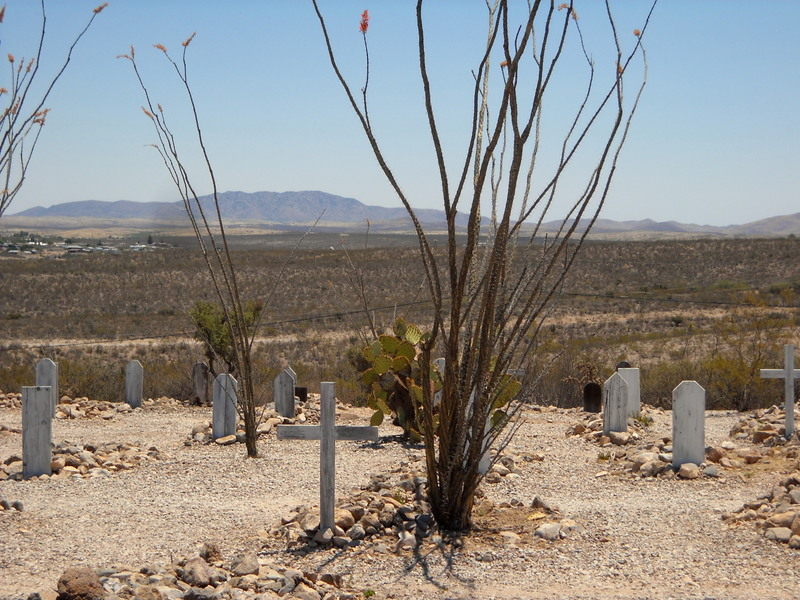 The arid landscape and mountains rising in the distance are probably the most authentic part of Tombstone. 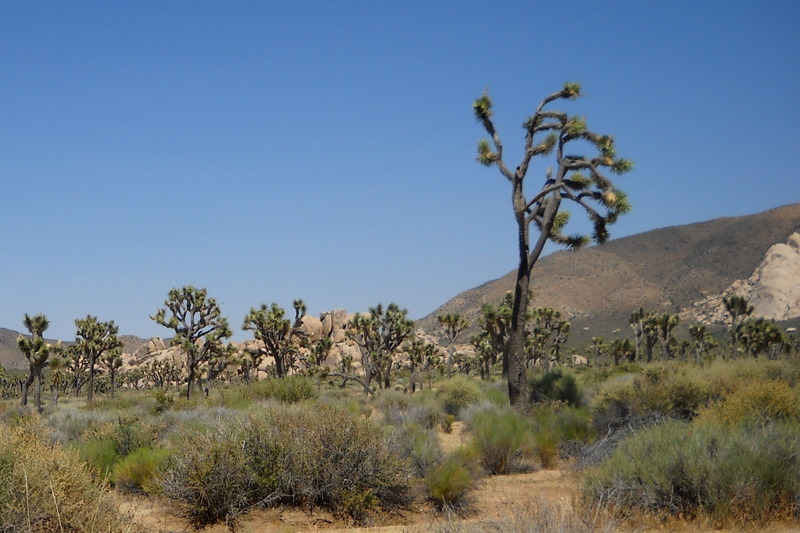 The true rugged wilderness of the Old West. Of course, things were about to get a lot more rugged. 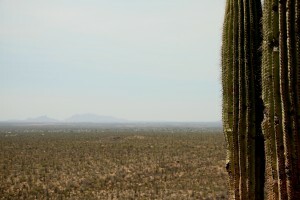 We kept heading west and as we drove through Tucson, the cactus-studded hills of Saguaro National Park rose around us. 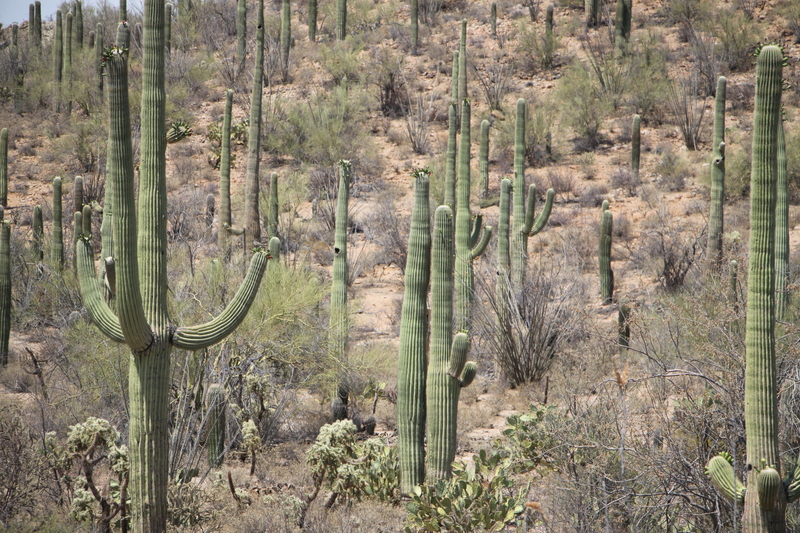 Entire forests of the famous saguaro popped up alongside roads and behind neighborhoods. 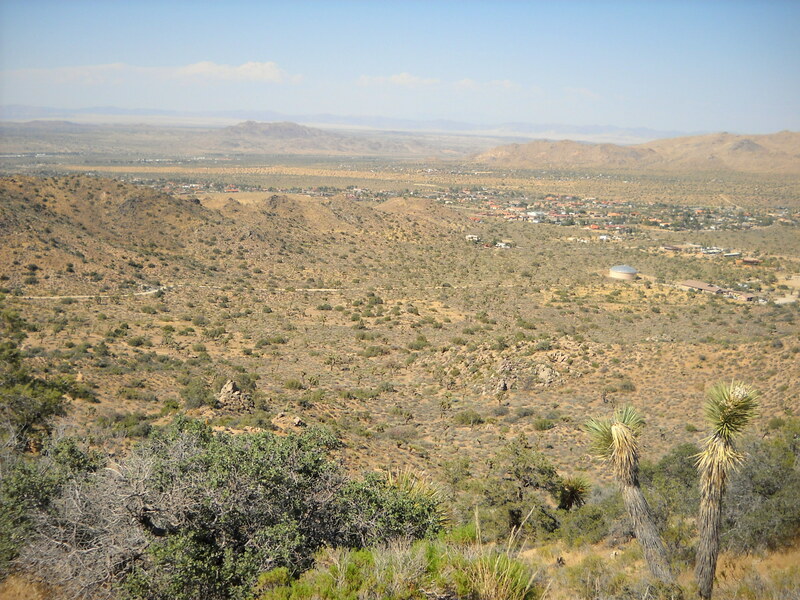 Standing at the Red Hills Visitor Center and driving the Scenic Bajada Loop, I was surprised at the variety of brush and vegetation that existed in the desert. The Chihuahuan desert around Carlsbad Caverns generally receives only summer rainfall but the Sonoran desert around Saguaro National Park receives spring and summer rainfall resulting in more vegetation diversity. 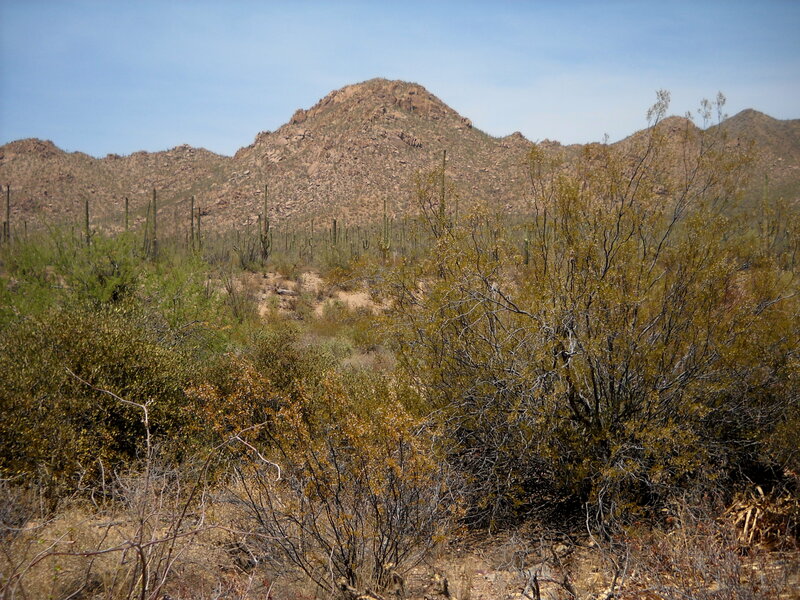 This despite the fact that the Sonoran desert is hotter than the Chihuahuan desert with more days over 100°. But it was out on the hiking trails in that 114° heat that we found what we came to see up close. 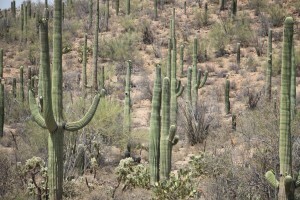 The majestic saguaro cactus. All shapes and sizes. Acres and acres of them. 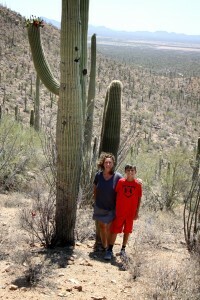 The size of the cactus may be impressive but, in truth, it is the age that should be so awe-inspiring. 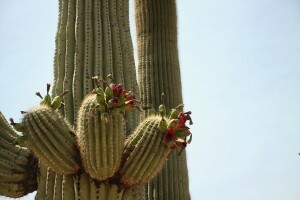 The saguaro needs to be at least 35 years old to produce flowers. 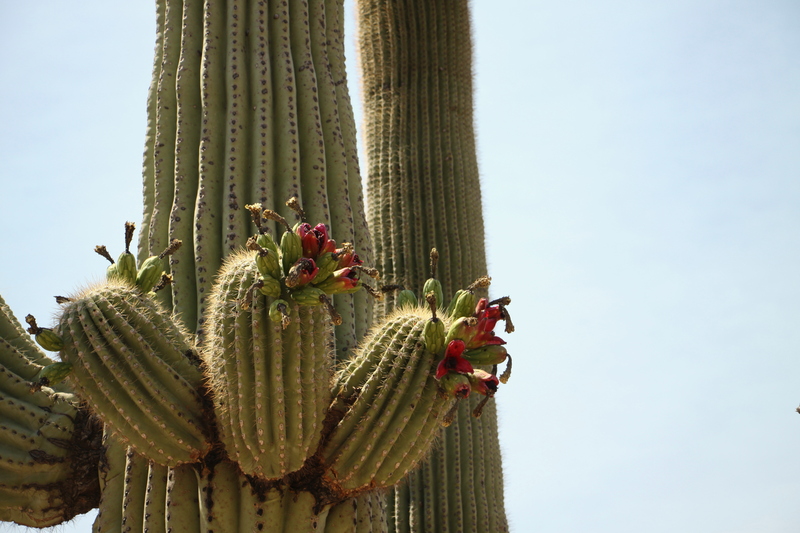 The arms or branches don’t appear until the cactus is 50-70 years old. 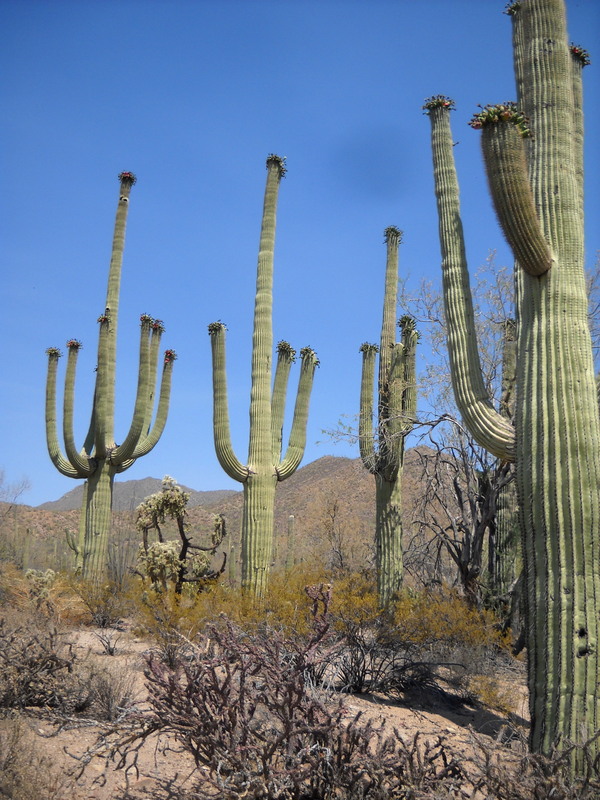 Adult saguaros are generally 125 years old but are believed to live up to 200 years total. 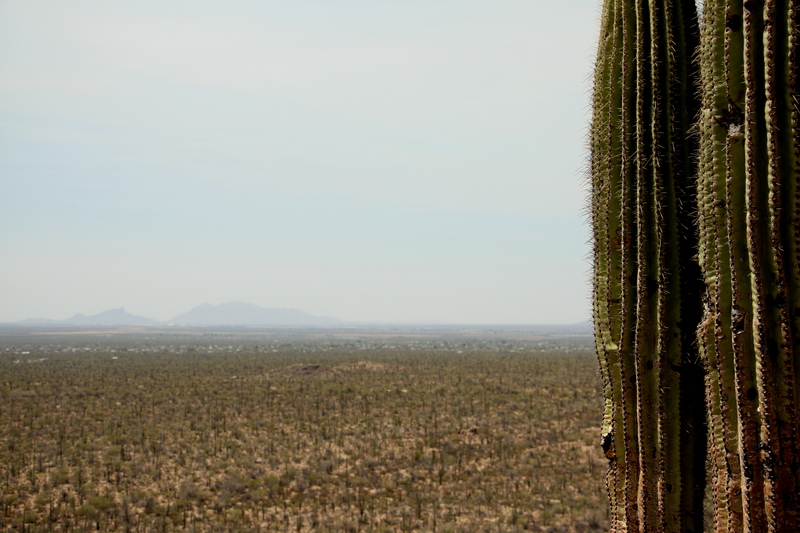 Hiking through the saguaros is passing sentinels that began their lives generations before you began yours. The Old, Old, Old West. 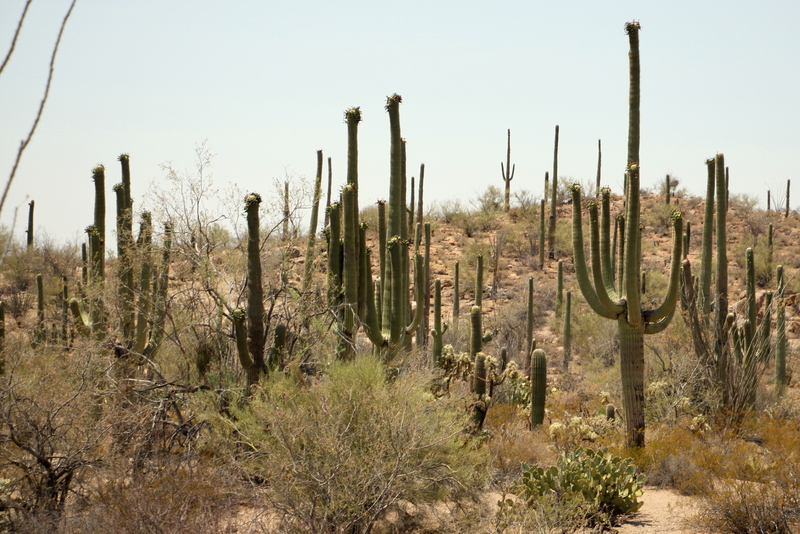 We did notice the difference in temperature at Saguaro National Park. This heat was more than the dry dusty air we’d experienced so far. There was no breeze at all, unless you count the heat waves you could feel wafting off the sun-baked soil. A deep breath was a bit like sucking in that surprisingly hot air that comes out of the oven when you crack it to check on your baked goods. 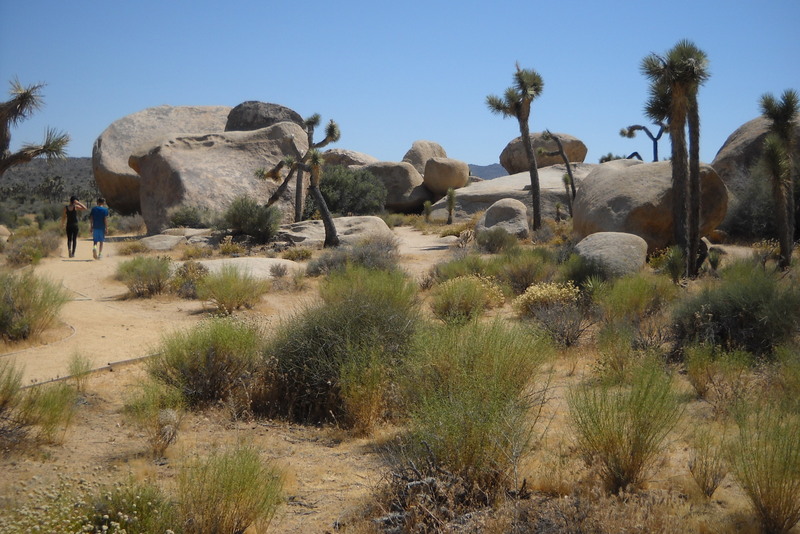 We kicked up tiny puffs of dirt as we walked, covering our feet in powder, but other than that the air seemed empty of any debris or even scent. Just heat. Even more bizarre was the fact that we didn’t even sweat when we were hiking the trails. Only when we re-entered our air-conditioned car did sweat bead up instantly along our arms and faces. What we discovered was that, of course, we were sweating on the trails. It was just so hot that the sweat evaporated quicker than we could sense it. 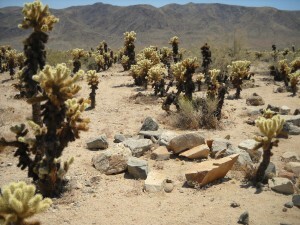 Therein lies the danger of dry heat. It’s really easy to dehydrate when you don’t even notice how much body fluid you’re losing. 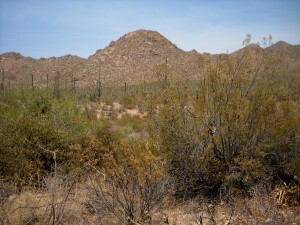 Saguaro National Park was the first park where I insisted that we carry backpacks of water and drink it even when we didn’t feel thirsty. 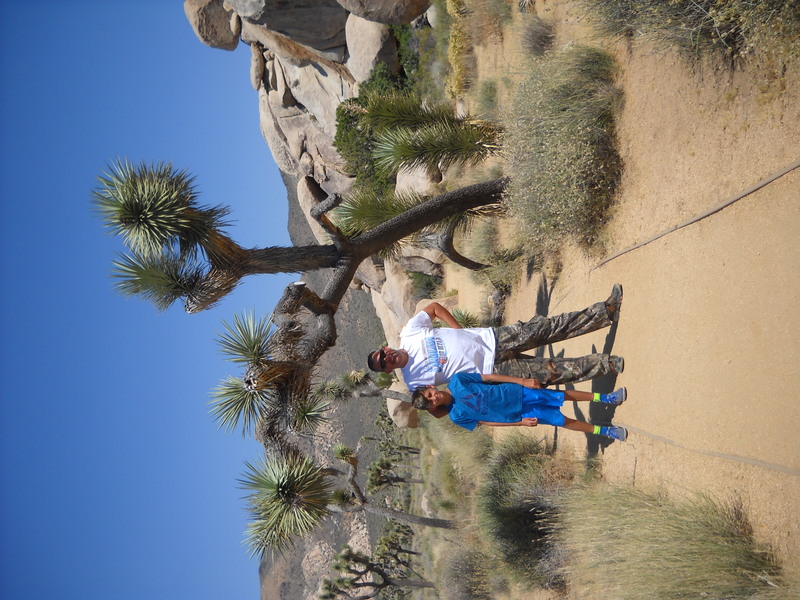 But the hikes and the scenery were worth the extra baggage. 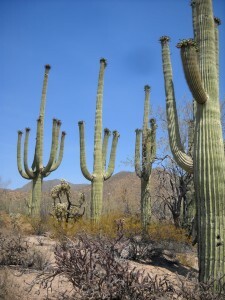 The saguaro cactus. 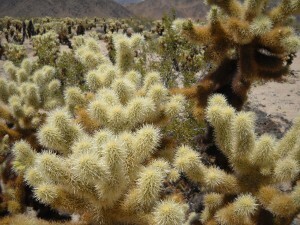 Only found in the Sonora desert. The largest cactus in the United States. 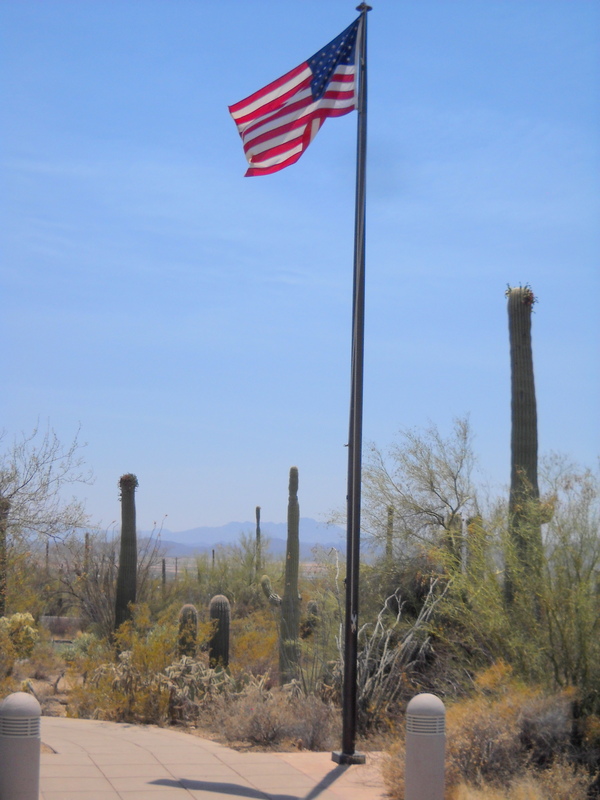 The universal symbol of cactus. Worth it! On a side note, we didn’t see many animals at the park. Mostly birds and lizards. But that might be changing. Remember the tale of the Bighorn sheep from Carlsbad? Well, some Bighorn sheep were spotted in the spring of 2016 in Saguaro West. The first Bighorn sheep seen in the park since the 1950’s. Maybe by the time my kids make it back out west with their kids, the Bighorn sheep will have made it back as well. Fingers crossed. 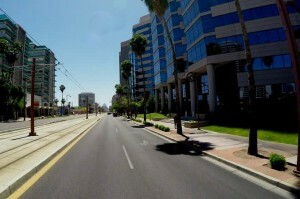 We spent that night in downtown Phoenix. We made our way to a funky urban coffee shop, Lux Central, fueled up on iced coffee, and then cruised the palm tree-lined streets of the city. It was clean and sleek with the lines for the Valley Metro Rail bisecting the wide streets. It was also empty—apparently the city doesn’t include a lot of downtown housing so once the businesses closed for the day, the sidewalks were empty. Providing affordable housing amidst expensive corporate high rises is a problem for a lot of cities but it certainly made for easy exploring of areas that are probably traffic-congested during the day. The next day we headed for California, which is as west as it gets in the United States. 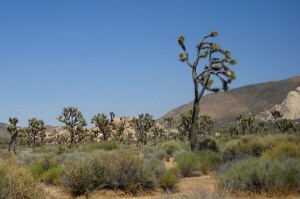 We trekked through the driest desert in North America, the Mojave, at Joshua Tree National Park. We wandered among a different type of cactus at the Cholla gardens…. 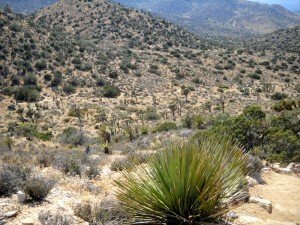 where we discovered a new critter, the jackrabbit. 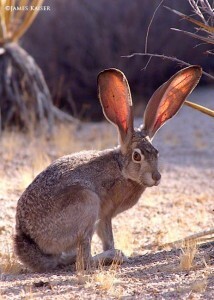 We didn’t capture this pic of those amazing ears, but we followed a similar one as he hopped among the trail. This park is, of course, known for the Joshua Tree and their spiky branches filled the landscape. 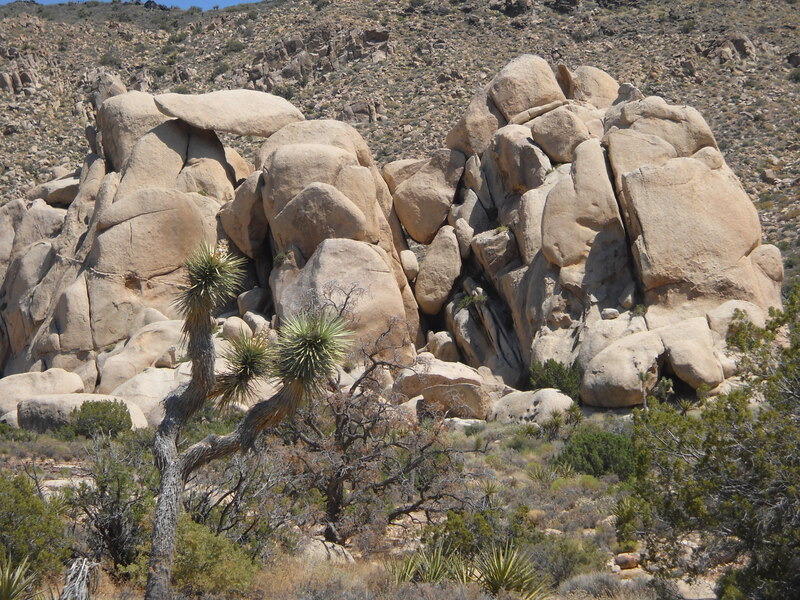 But it was the rounded rock formations that were unlike anything we’d seen in other deserts. 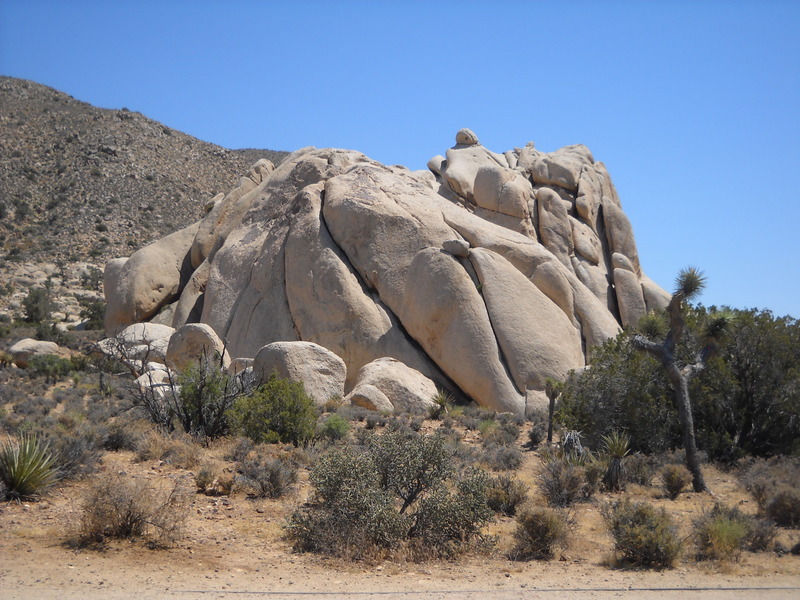 These outcroppings of monzogranite pop up everywhere and were perfect for climbing and scrambling over. The rock climbing was so irresistible that I even captured a shot of the ever-elusive and camera-shy trip photographer, Pretty, at Skull Rock. Together the rocks and Joshua trees in the northwest section of the park made an odd-shaped environment right out of Dr. Seuss Book. 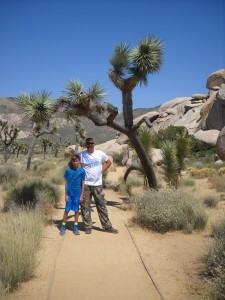 We finished with a hike along High View Nature Trail on the west side of the park. 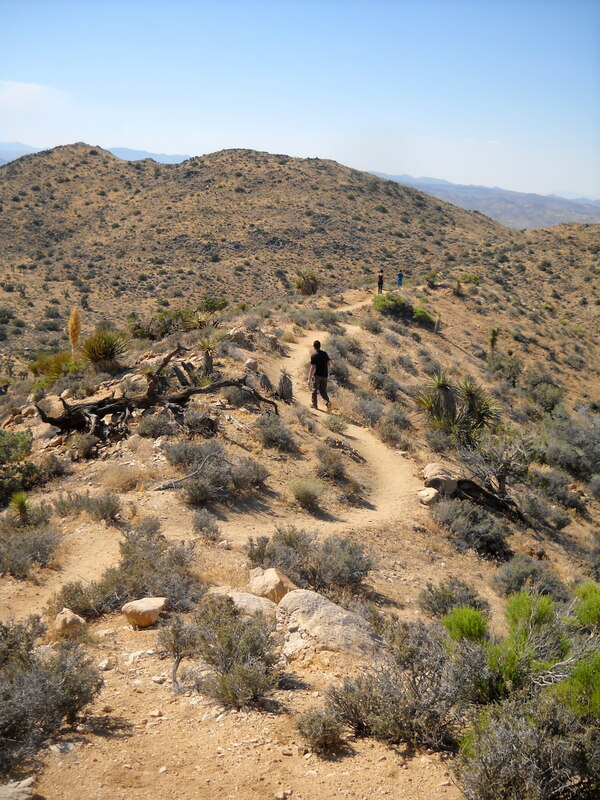 The name didn’t lie as we zigzagged up to the top of the ridge for incredible views of Yucca Valley and San Gorgonio Mountain. The trail was well-marked once we were on it but the trailhead was hard to find—-off a side road in Black Rock Campground. Don’t forget water on this one as it has some steep sections. 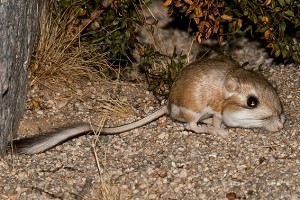 As an added bonus, though, there were kangaroo rats everywhere, dashing in and out of the scrub. Something about a long fluffy tail makes a mouse quite a bit cuter. 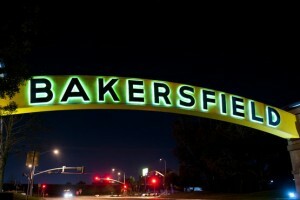 That night we rolled into Bakersfield, California after dark. With oil refineries and large agriculture distribution centers throughout the city, the area was loaded with pollution. 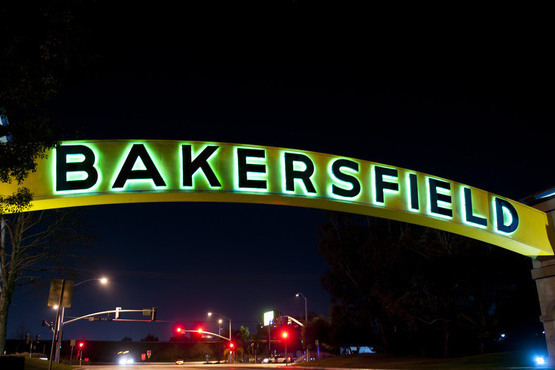 We settled for burgers at Carl’s Jr, the Hardees of the southwest, and crashed for the night in a cheap hotel amid freight trains, oil rigs, and Buck Owens Crystal Palace. It wasn’t exactly the area for eclectic coffee shops and city strolls. It’s sobering to see the cities that carry the burden of providing the fuel and fruit that we so eagerly consume in other areas, without any consideration of where it comes from and how it gets from the west to the east. But California is a big state and it had a lot more to show us. 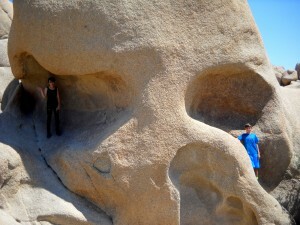 As a matter of fact, some of the biggest sights California has to offer were planned for the very next day…. What’s the creature in the lower left corner of the “Q” poster? A Qangaroo Rat, maybe? When you say “as west as you can get,” do you mean culturally? Washington’s Olympic Peninsular is further west than California, and Hawaii and Alaska are even further west. I love following your trip! Are you still on it? We are in Santa Cruz!! Come on by! hoping for the rest of the trip! Are you ok?